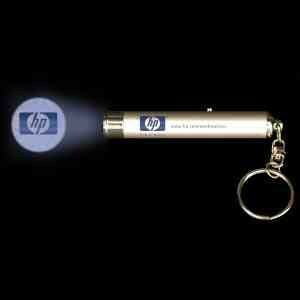 Light your way and project your logo at the same time with this 3" projector keychain! 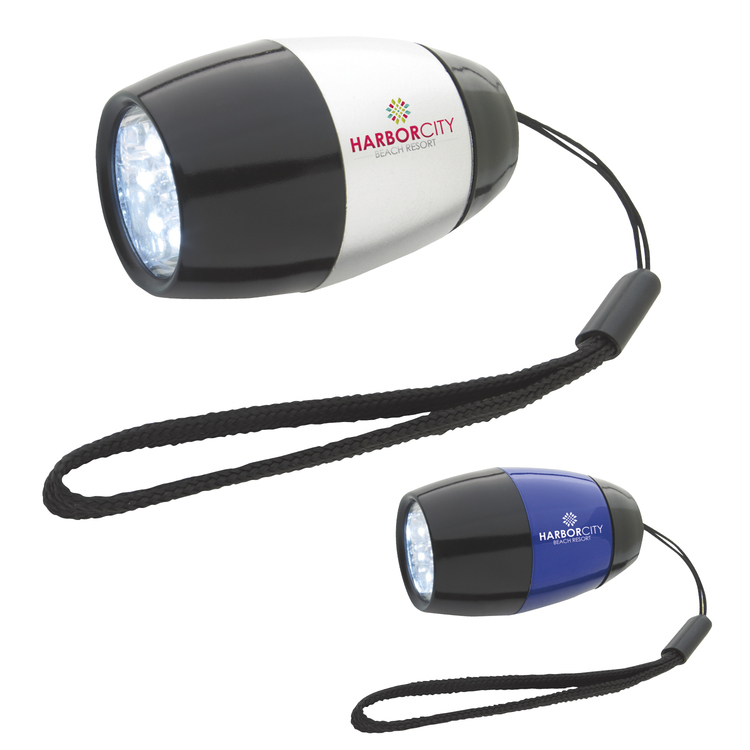 A bright white LED acts as both a flashlight and projector. 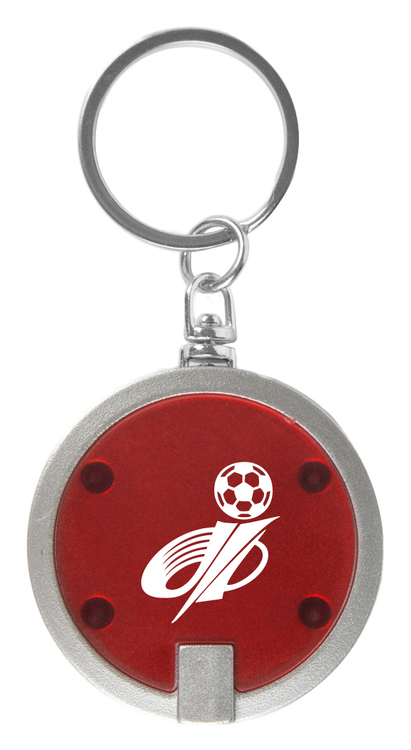 When your customers attach their keys to it, your message or logo will be with them at all times. 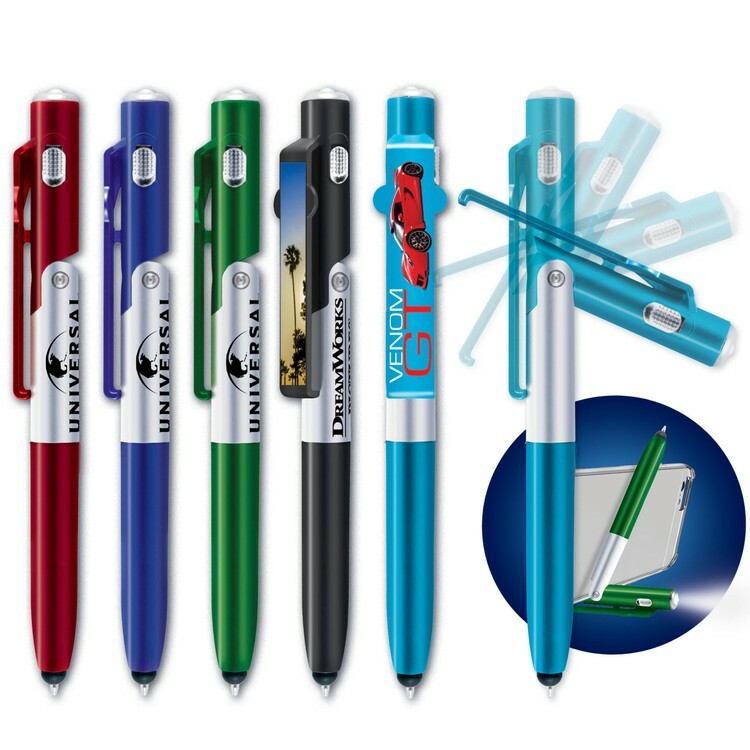 This versatile promotional product is great for store openings, job fairs, car dealers, real estate agents, tradeshows and more. Four (4) AG3 batteries included and installed. Choking hazard, not for children under 3 years. 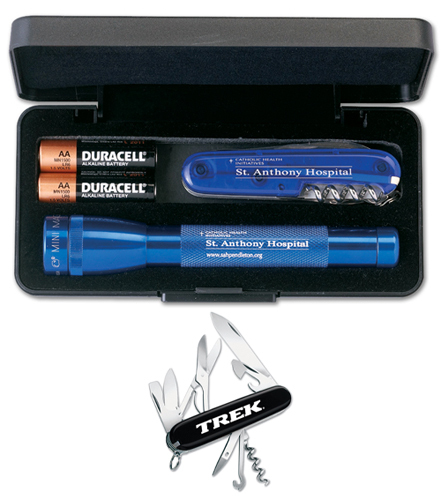 Comes with 2 "AA" batteries, knife is 3 1/2" in length, 14 functions and sets available (or mix and match). The Victorinox® classic is 2 1/4" long and features a blade, scissors, nail file with screwdriver tip, tweezers, toothpick and comes with 2 "AA" batteries. sets available in black, blue and red (or mix & match). 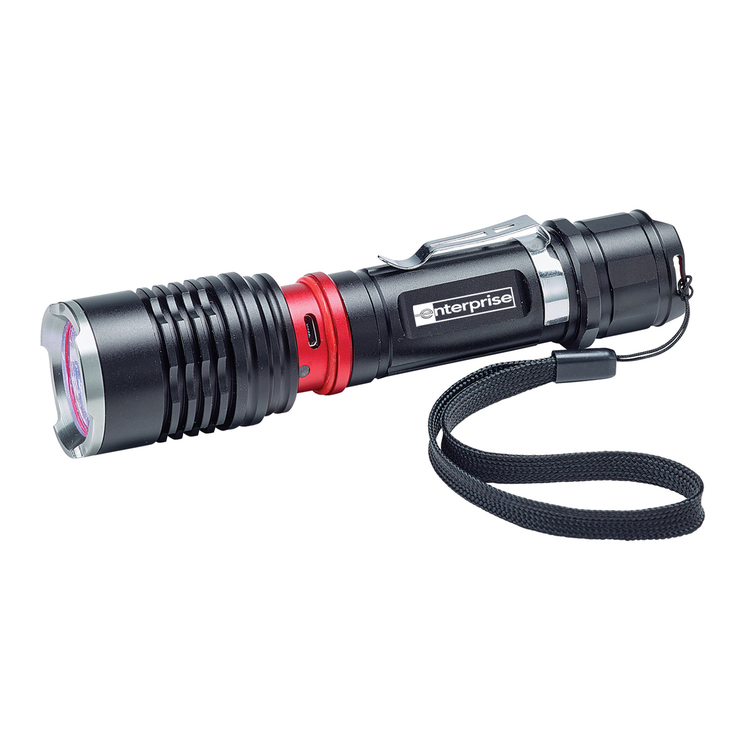 This compact and versatile 2-in-1 flashlight will be a great fit in any toolbox, truck, car or boat. When extended, the flashlight acts as a lantern. 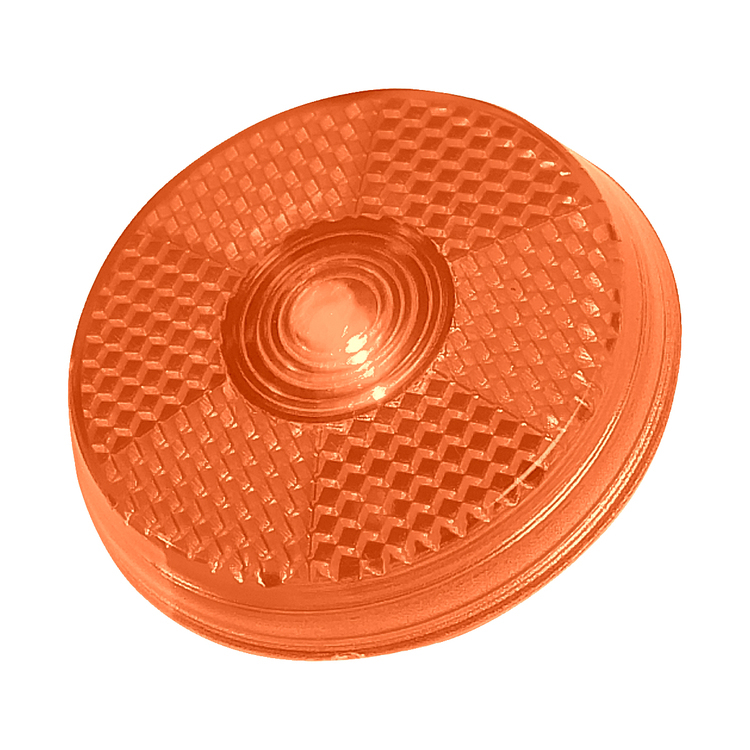 The flashlight portion can either be a traditional constant light or a strobe light if needed. The magnet feature will allow versatility to use the flashlight hands free. 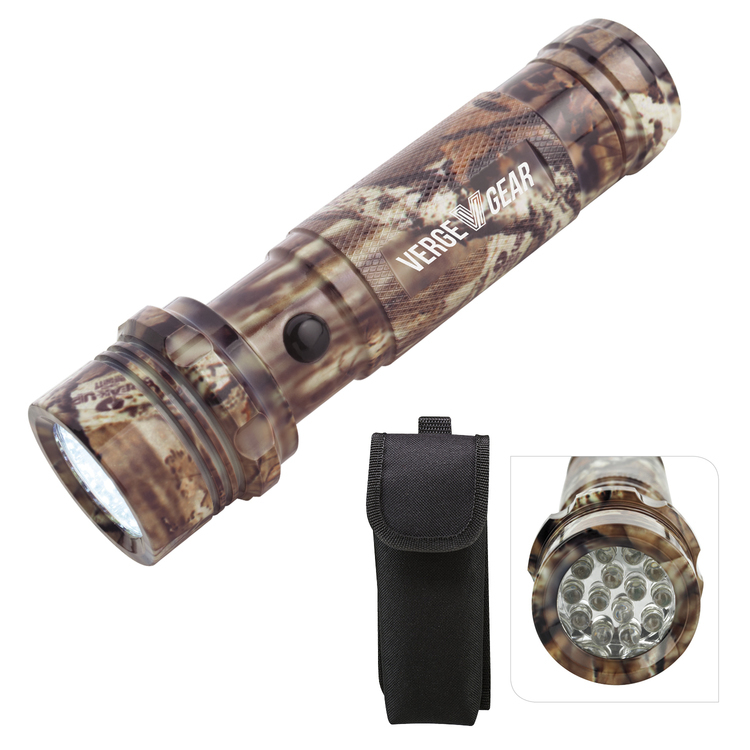 Authentic Mossy Oak® camouflage pattern makes this the perfect flashlight for your next trip to the woods. 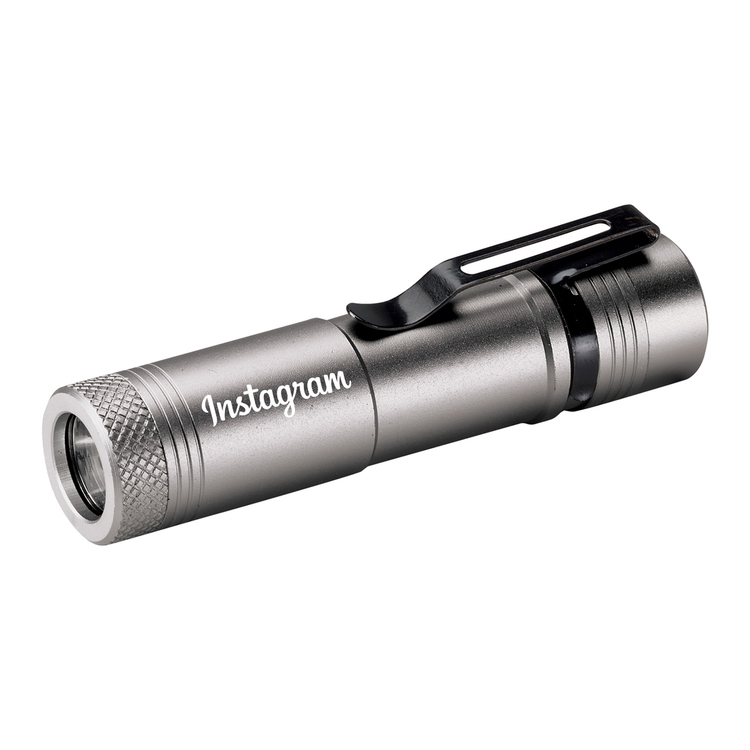 This quality flashlight fits perfectly in any pocket or purse. The bright white LED's allow you to see your way with ease. 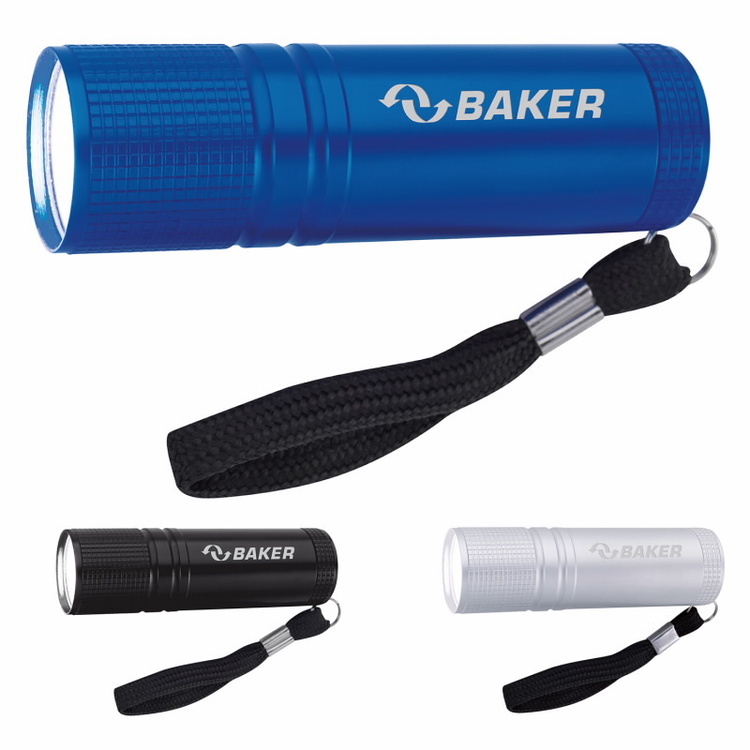 This compact flashlight is ideal for small spaces. The easy push button on/off switch activates the 6, bright LED lights to assist in all you need. The added wrist strap ensures that you won't lose this perfect light. 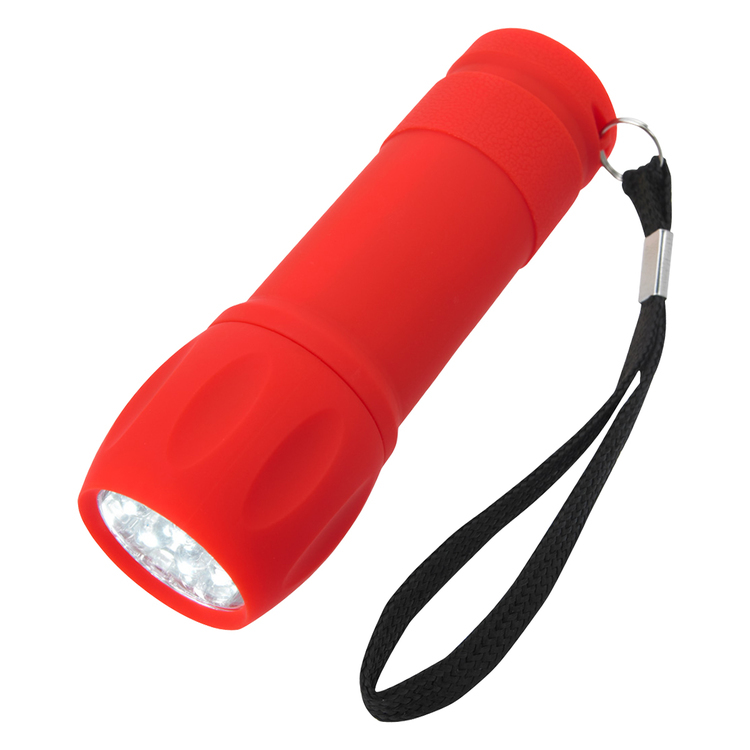 This bright COB flashlight features a matte finish. It also makes for a great gift! This compact, sleek screwdriver with flashlight is perfect for anywhere. The self locking storage in the back holds a total of 6 bits. The 2 ultra bright lights allow you to see what you need. 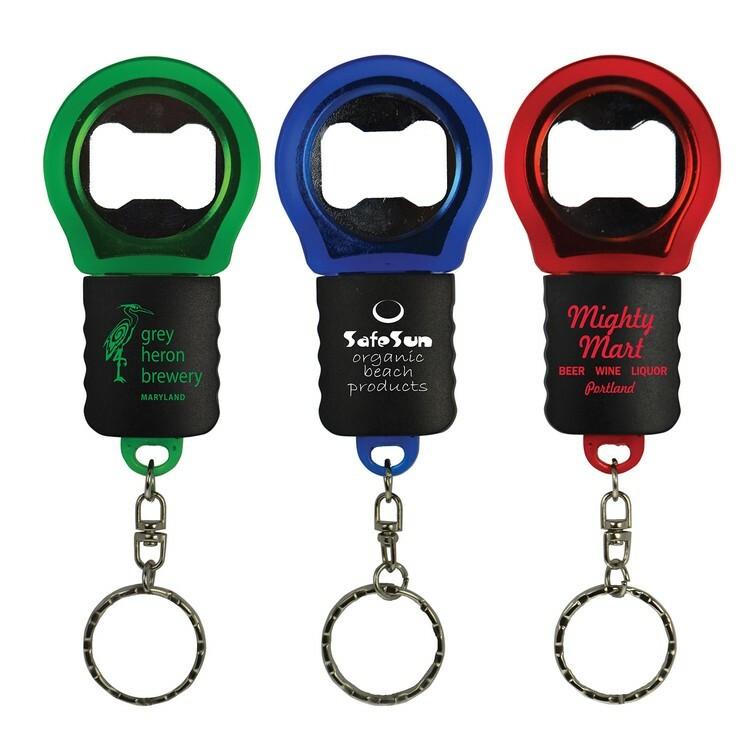 A round flashlight key chain. 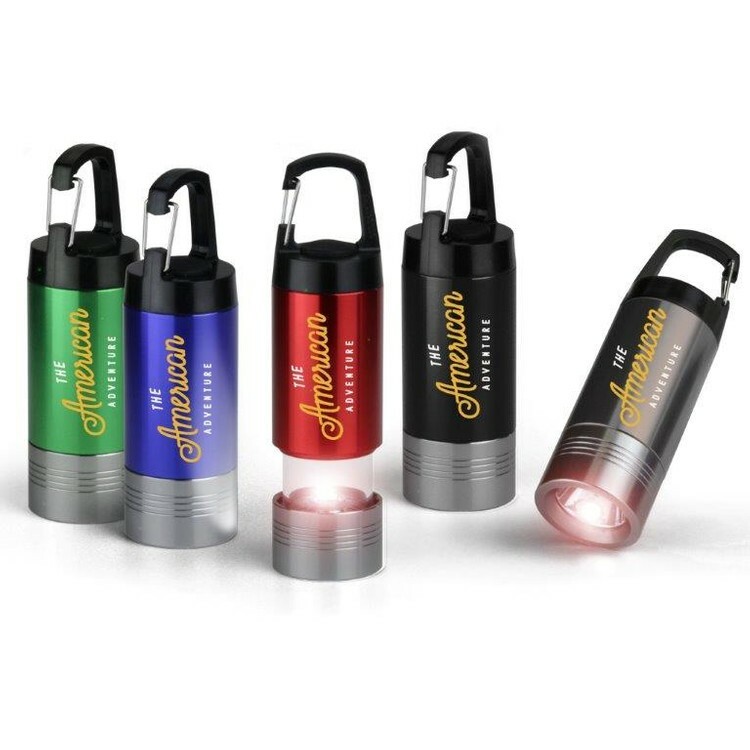 • An aluminum flashlight with seven super bright white LED lights. • Features a split ring key chain. • Powered by 4 button cell batteries (included). 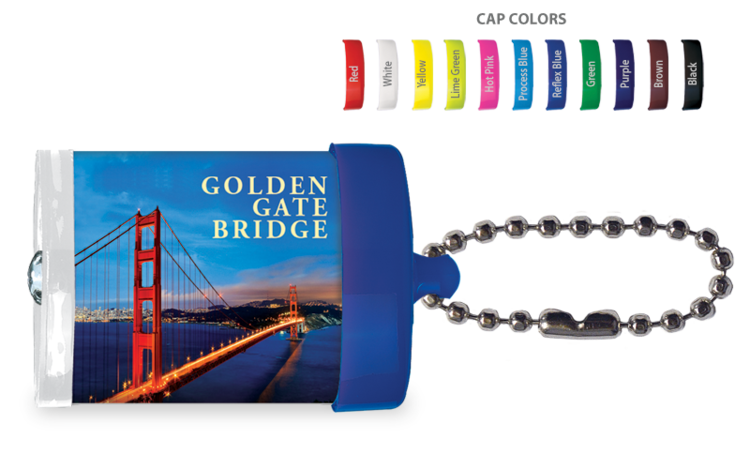 • For permanent imprint, this item is laser engraved. 24hr production not available for direct imprinting. We are now offering our unique slim and functional Credit Card Flashlight with an attached J-Hook. 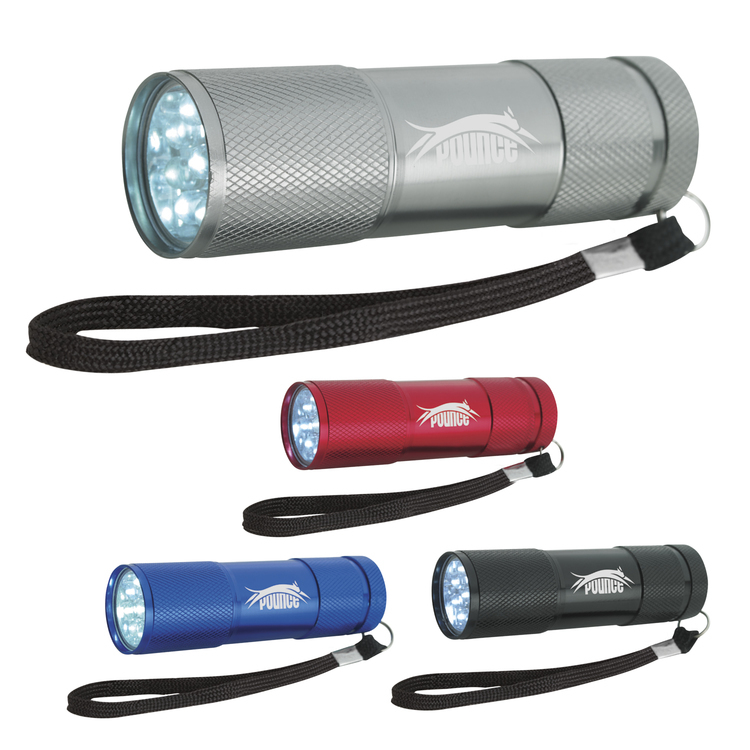 This convenient feature allows you to hook this bright LED powered Flashlight to beads, lanyards, leis or any sort of necklace! Batteries are included and installed. Please Note: Necklaces are sold separately. 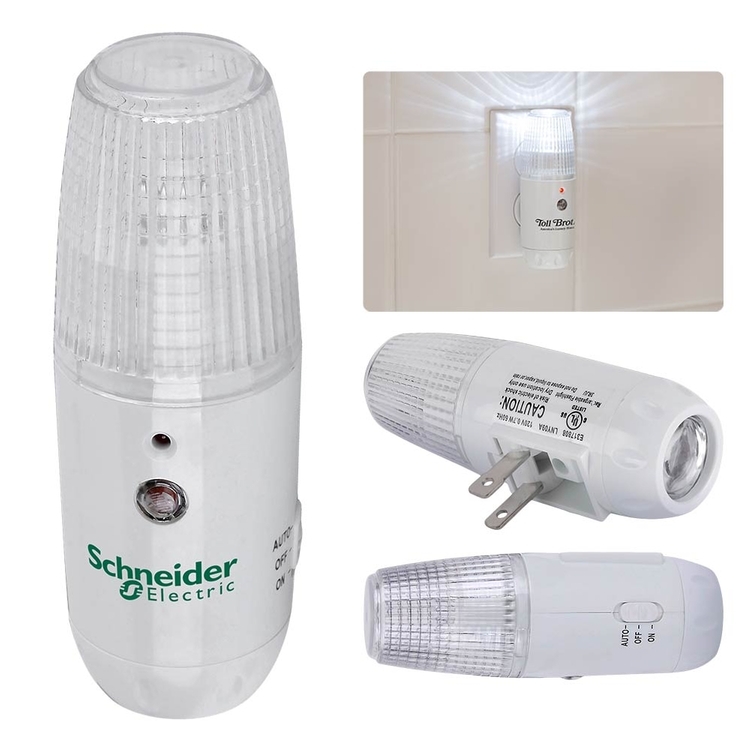 • Includes a night sensor, which activates in the dark when plugged in. 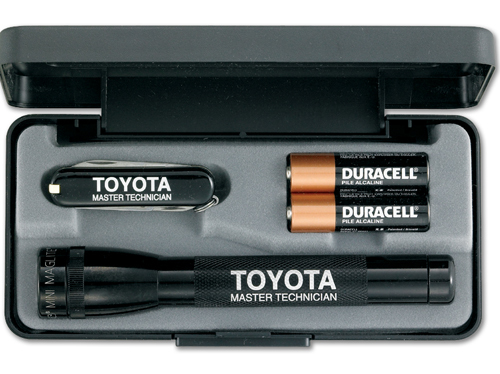 • Rechargeable battery stores power when the unit is plugged in. 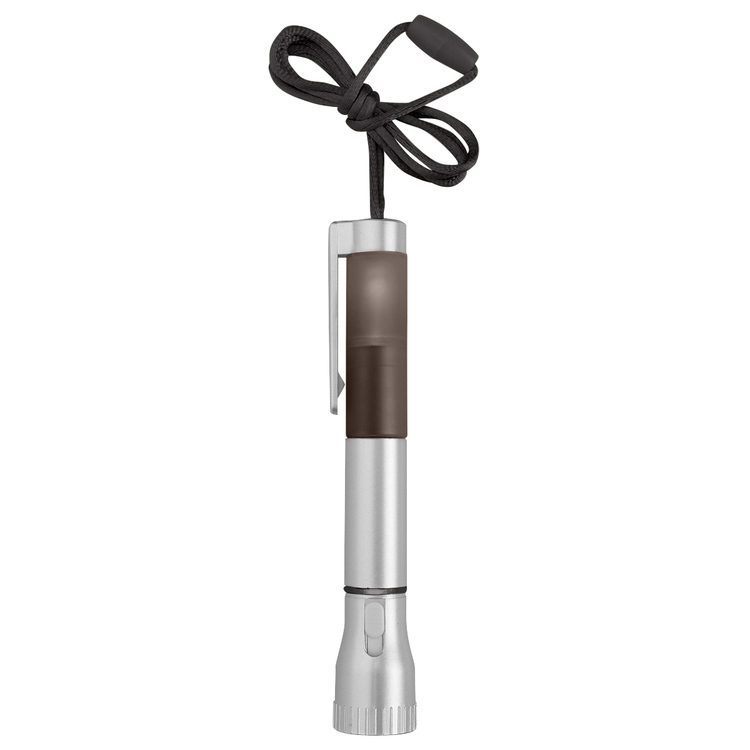 • Unplug it to use the other end as a bright LED flashlight. • Great for emergency kits. This flashlight is 5" long. 14 LED super bright flashlight. Push button on/off, Comes with 3 "AAA" batteries. Boxed. Both items are 3 1/2 long. Tool features include: blade, scissors! bottle! can opener, cork screw, file, screwdriver and more. Flashlight has 3 different handle imprint areas. Comes in silver. 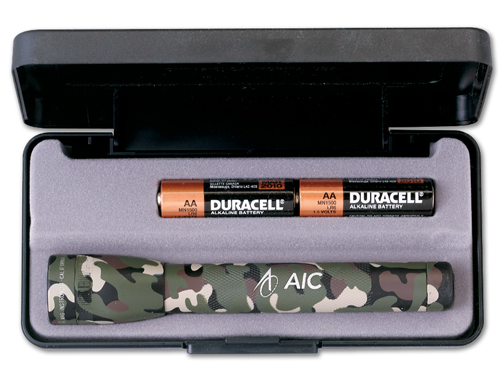 > Packaged with one "AA" battery and in beautiful presentation box. This is a 3 1/2" long COB LED work light and flashlight with metal pen clip. 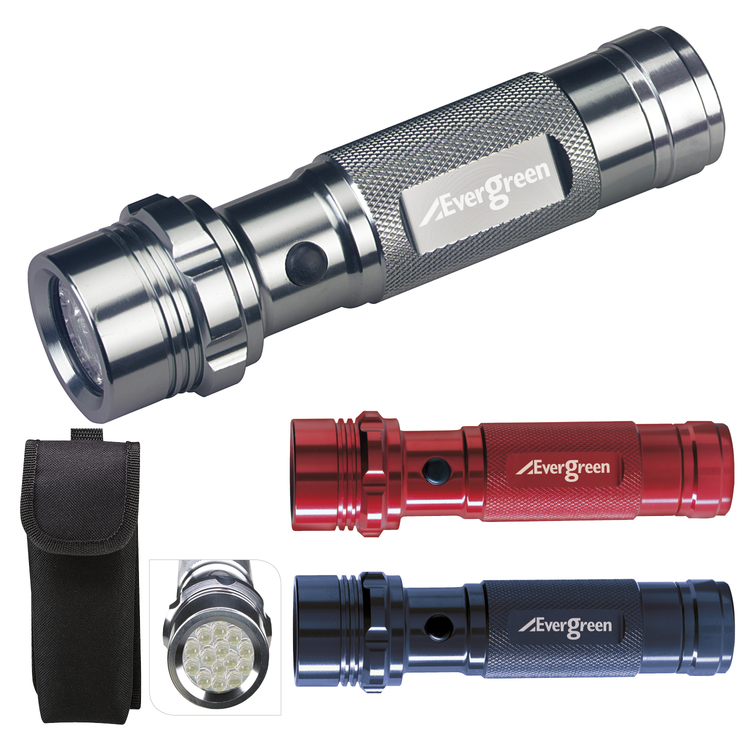 150 Lumens, two light modes: high beam, low beam. Comes with 1 "AA" batteries. 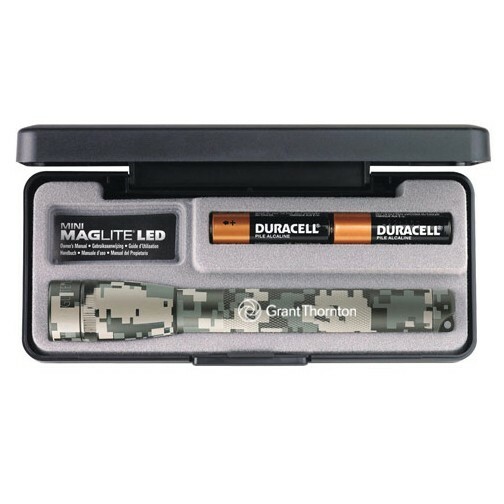 5 3/4" AA mini Mag-Lite® with digital camouflage green design. 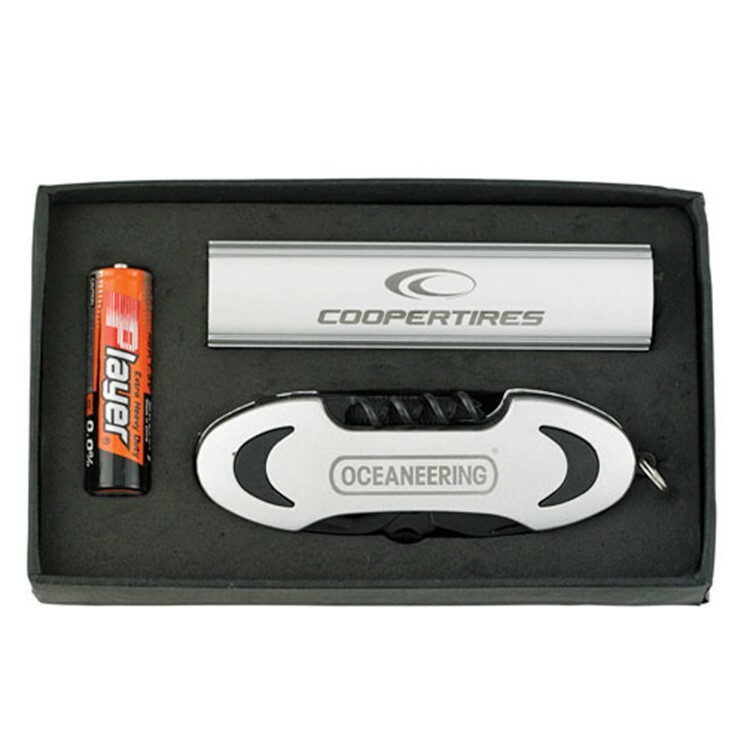 Includes 2 "AA" batteries and packaged in a sleek presentation gift box. 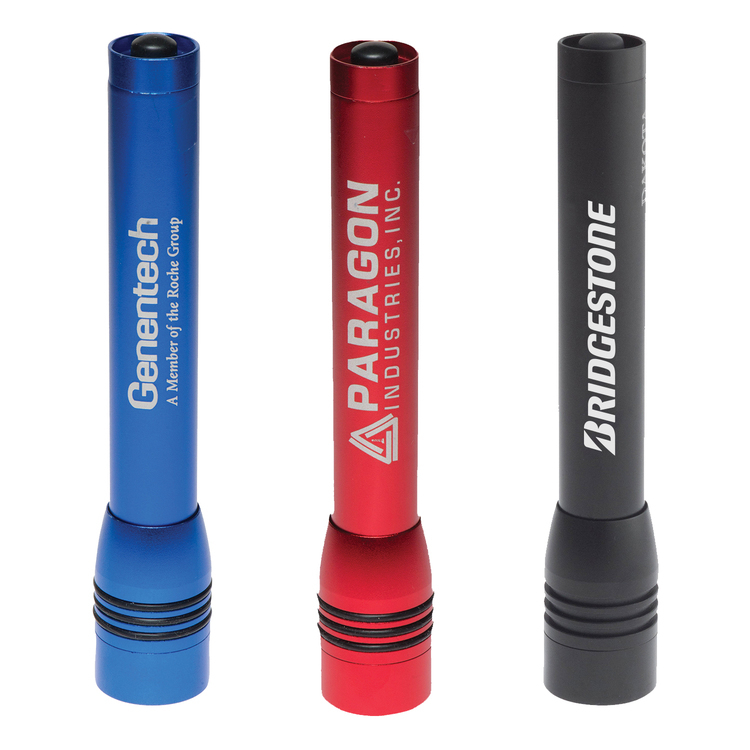 Mini MagLite® LED 2-cell AA flashlight - the next generation of mag-LED technology. 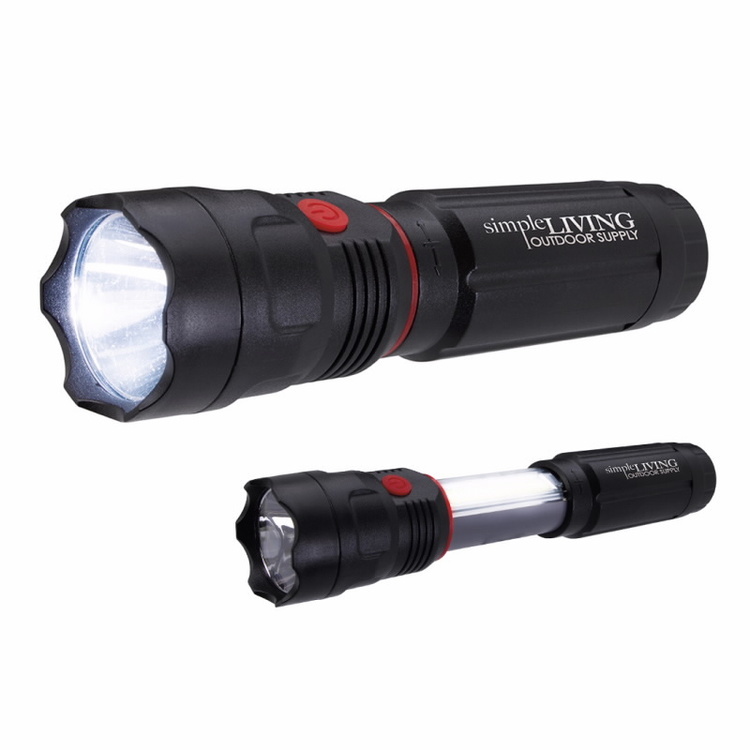 The mini MagLite® LED flashlight delivers performance oriented features in a sleek compact design. This advanced lighting instrument is driven by the next generation of mag-LED technology. New multi-mode electronic switch - peak power when peak performance is required 25% power for low lighting - blink mode blinks approximately once per second - SOS signals. 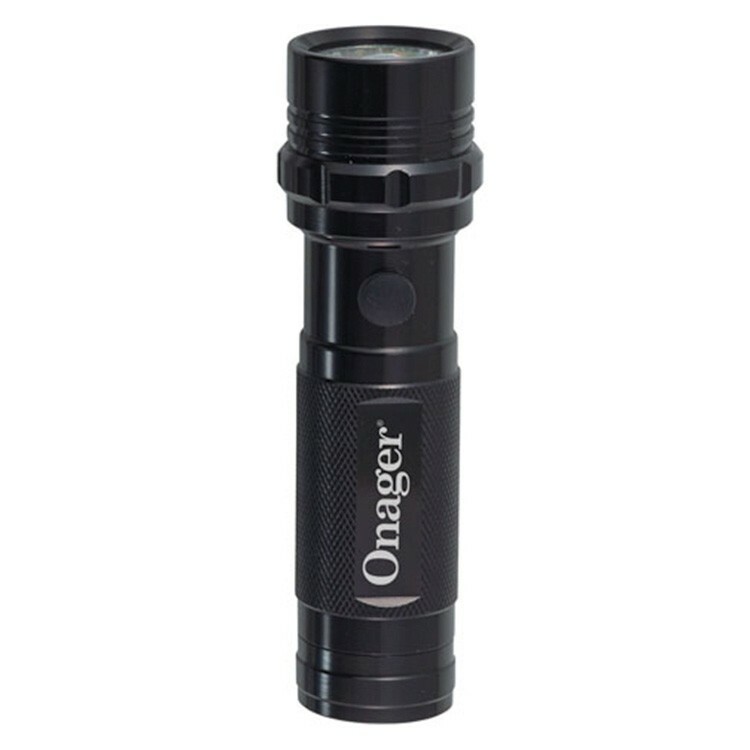 5 1/2" long, powerful LED flashlight. Push button on/off switch on bottom. 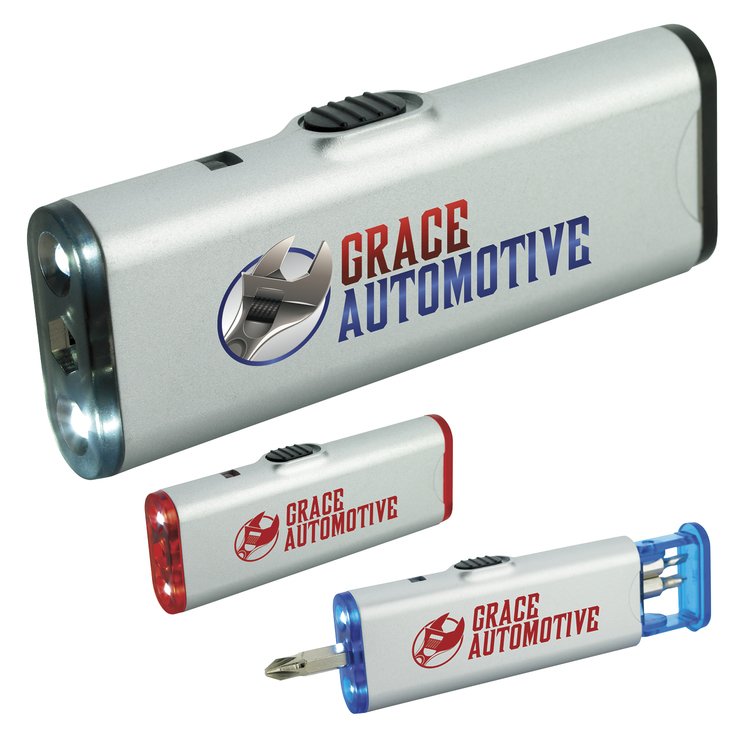 Comes with 2 "AA" batteries, available with standard laser engraving (appears white). 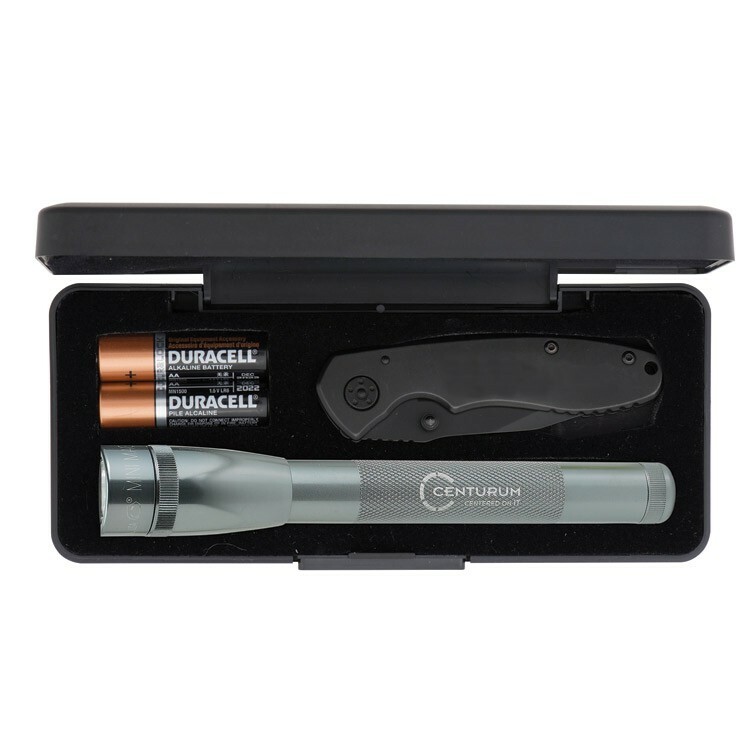 Super powerful 6 1/2" 2 "AA" LED mini Maglite®, Warhawk pocket knife has a 4" handle and 3" blade, all black stainless steel pocket knife and comes with 2 "AA" batteries and packaged in presentation box. 3rd imprint area, Knife Handle, 3/8"H x 2"L.
This flashlight is 5 3/4" long. 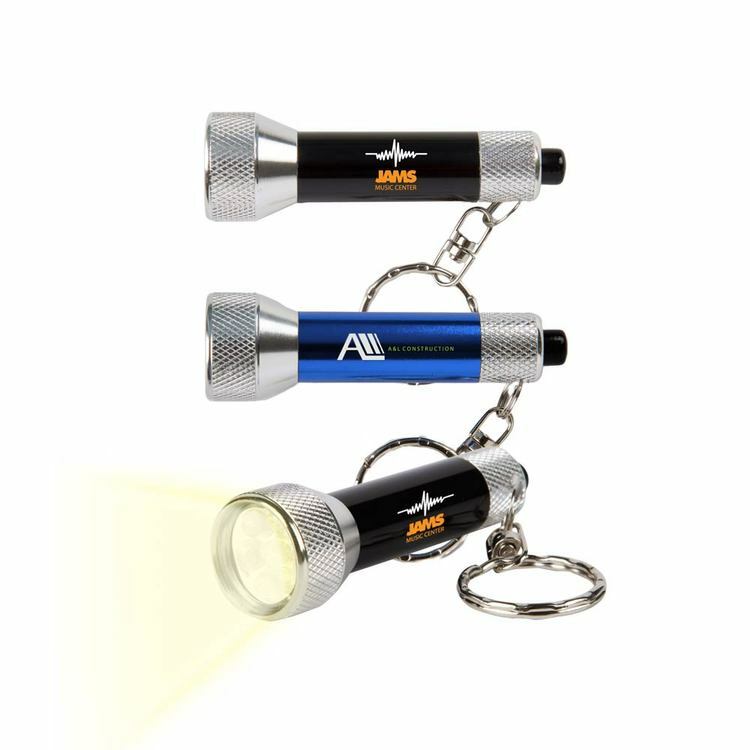 Rechargeable LED flashlight with pen clip, nylon strap and aerospace aluminum body. 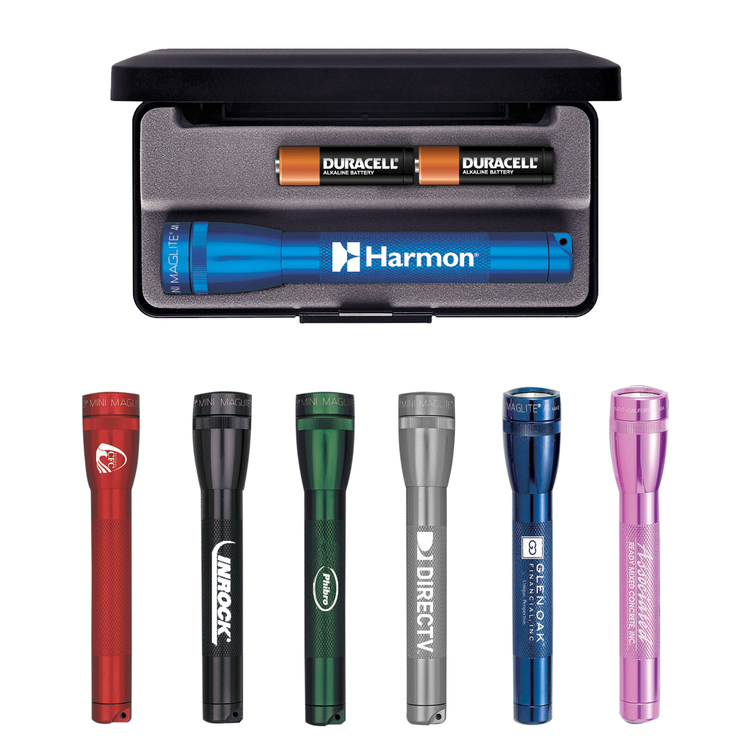 Comes with a rechargeable 18650 battery with the option to power with 3 "AAA" batteries. Features five light modes: high beam, middle beam, low beam, strobe and SOS.